This week adidas is holding a major event: the Global Brand Conference, or GBC for short. Reason enough for us Runtastics to get to know our new family. 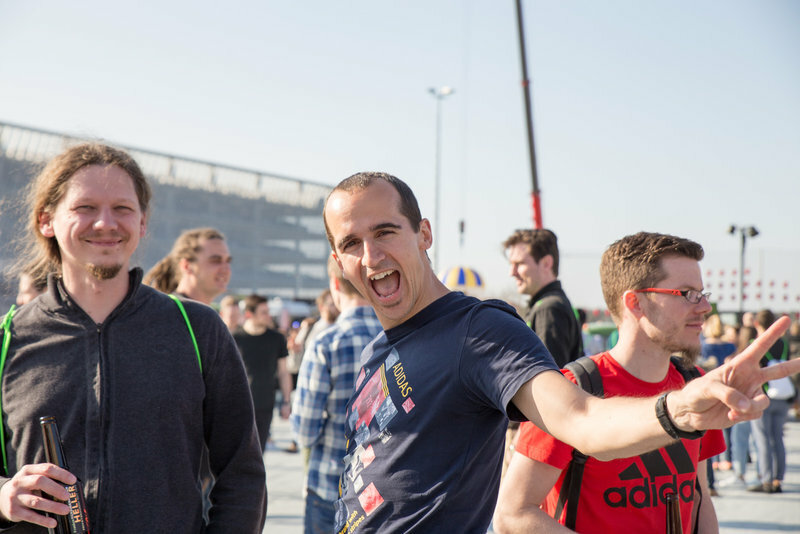 This unique event brings together members of the adidas family in Herzogenaurach, Germany, about 25 km away from Nuremberg. Together they take a look at the past year and the year ahead, and celebrate outstanding successes. Over the course of two days, we listened to exciting presentations, cheered on the enthusiastic participants of our workout challenges in the Runtastic Tipi as they cranked out burpees and push-ups and sweated with Fitness Coach Lunden as part of silent Live Workout Parties. Plus we had the chance to meet other members of our global family and party with them to the sounds of Stormzy and Clean Bandit. Sustainability is one of the key values at adidas. Every participant received a reusable water bottle, and the visitors’ goodie bags were made of old banners and shoe laces. The product presentation of the Spring/Summer Collection 2017 ended with a special guest: professional soccer player Paul Pogba, who is currently showcasing his amazing skills for Juventus Turin. And the best thing about it: Two Runtastics even came home with a hand-signed soccer ball. The adidas GBCSS17 event area. 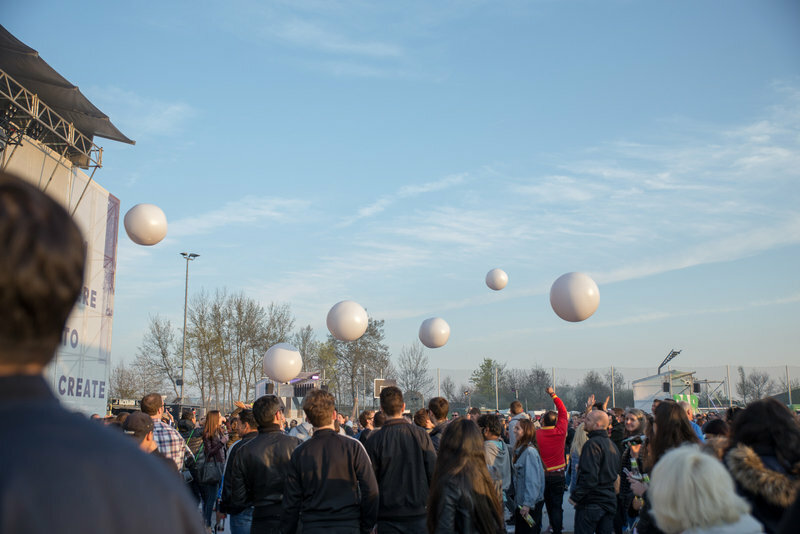 In front of the main stage, visitors throw inflatable party balls in the air. Fitness Coach Lunden leading a silent Live Workout Party. 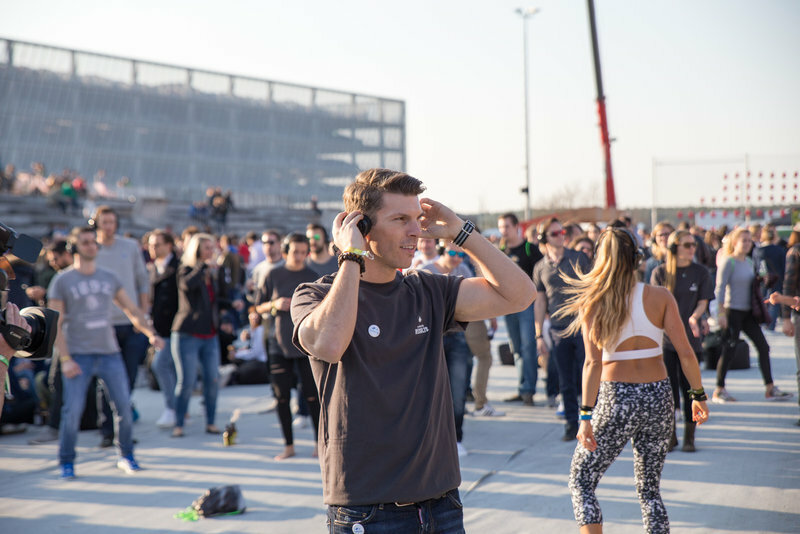 Florian Gschwandtner, CEO and Co-Founder of Runtastic, also joined in the silent Live Workout Party. 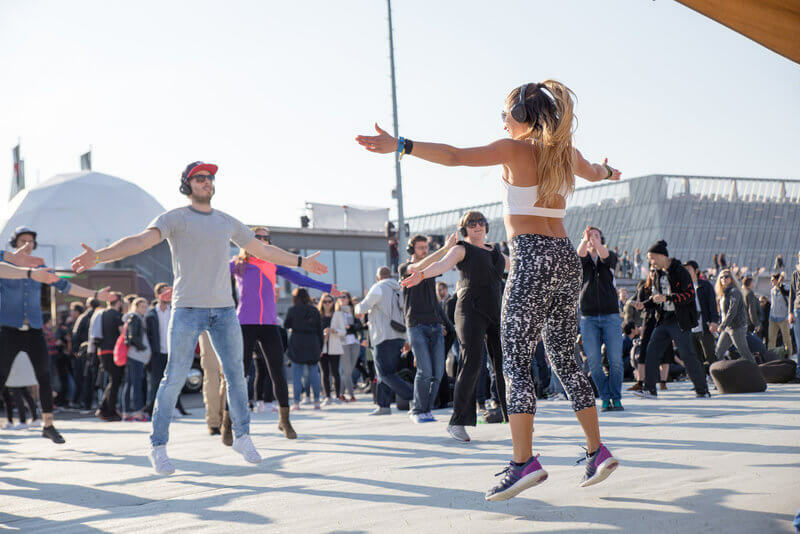 In the Runtastic tipi, visitors got the chance to win cool Runtastic prizes by completing Runtastic Results exercises and workouts. 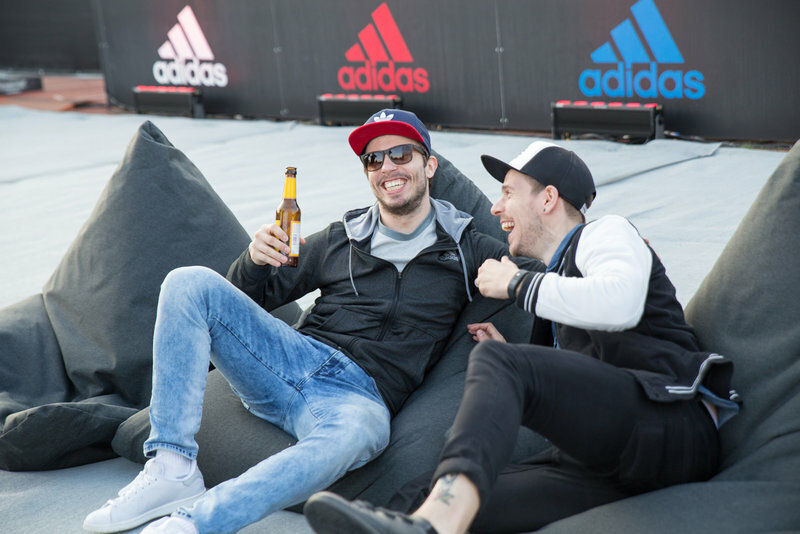 Christian Kaar (middle), Co-Founder of Runtastic, obviously having fun at adidas GBCSS17. Bettina (right) was one of the lucky ones to get a hand-signed ball from soccer star Paul Pogba. 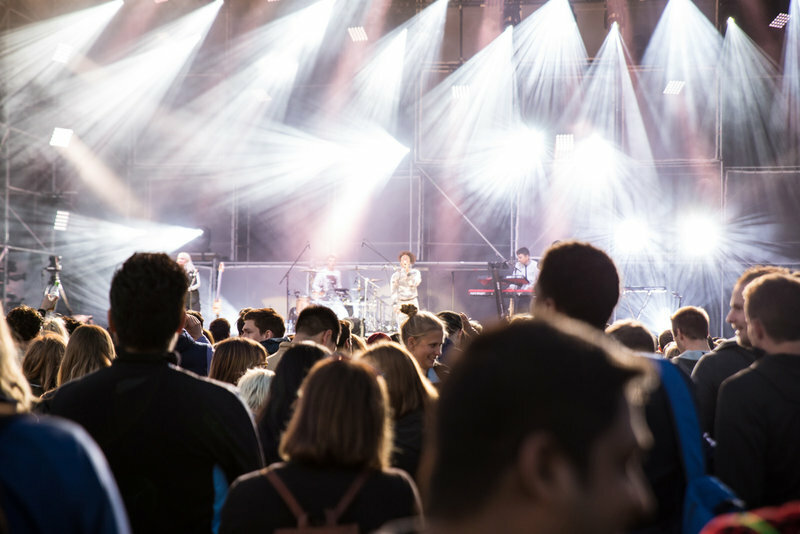 Visitors danced and partied to the sounds of Stormzy and Clean Bandit.